A few weeks ago, New Zealand, Australia and indeed the world were shocked by the horrific violence perpetrated against the Muslim community in Christchurch. In the aftermath of this event, what stood out was the overwhelming response, on all fronts, from political leaders, through to local and international communities. 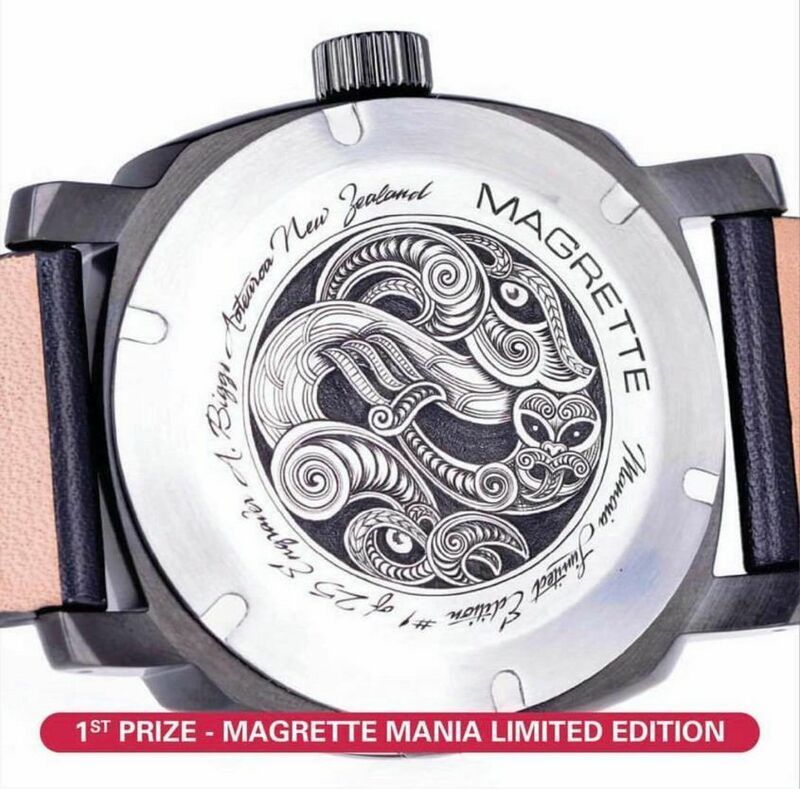 It can be seen in the watch community too, as the New Zealand chapter of RedBar has teamed up with Dion, from Kiwi watch company Magrette, to raffle off two watches, with all funds being donated to the Victim Support’s Christchurch Shooting Victims’ Fund. 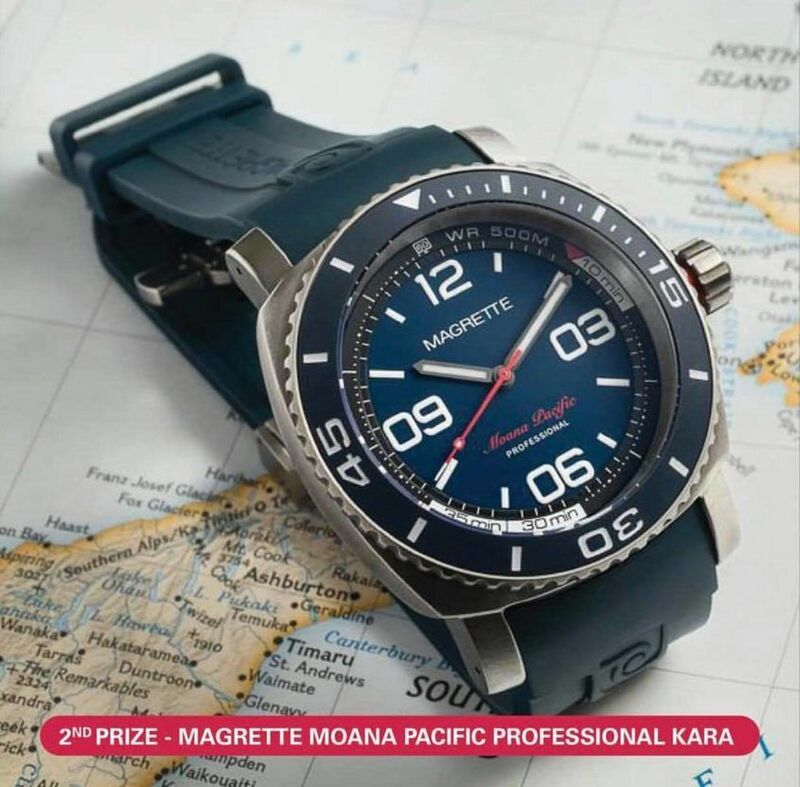 The watches being raffled off are a limited edition Magrette Mania (#4 of 25), featuring a stunning hand-engraved case back, with a RRP of $1875 USD, and a Magrette Moana Pacific Professional Kara LE, worth $775 USD. Winners will randomly be drawn at the next RedBar NZ meetup on April 13, and announced on RedBarNZ’s Instagram and Facebook. Raffle tickets are $10 USD each. To purchase, email redbarraffle@gmail.com with your full name, location and the number of tickets you would like to buy. Payment details will be sent to all entrants (PayPal available), and ticket numbers provided once payment is successfully received. Well done to the guys from RedBar NZ and Magrette for this initiative.